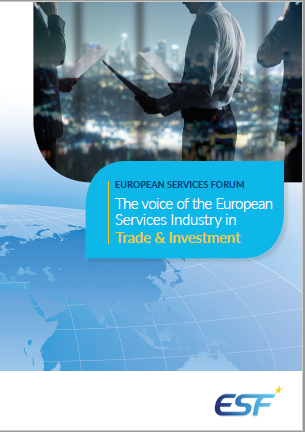 EU-Mercosur | "The Voice of the European Services Sectors in International Trade"
On EU- Mercosur, the negotiators have refused to engage in market access on services. In terms of agriculture, the EU did not previously have a position, but the EU position now is read as being so outrageous that Mercosur do not wish to engage. These discussions have focused primarily on text discussions. The EU is currently negotiating a FTA with the four founding members of Mercosur (Argentina, Brazil, Paraguay, and Uruguay). 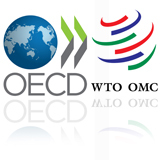 Current trade is governed by the Framework Cooperation Agreement. The EU exported 20 billion euro in commercial services to Mercosur in 2014, highlighting the importance of its market. Current negotiations are covering issues related to services, such as technical barriers to trade, government procurement, and intellectual property. The EU is preparing to table a new tariff offer to the South American trading bloc ahead of a new round of negotiations starting on Monday (2 October 2017). Eleven-member states are attempting to put a brake on an offer to extend tariff rate quotes on beef, poultry, sugar, and ethanol. In a joint letter circulated on Wednesday (27 September 2017), Austria, Belgium, France, Hungary, Ireland, Lithuania, Luxembourg, Poland, Romania, Slovakia and Romania said “including quotas for most sensitive agricultural products (beef, ethanol, sugar, poultry, etc.) in the EU’s offer now would be untimely”. The Eleven call on the EU to “elaborate a method to define a maximum level of concessions (volume, composition, tariff administration, and staging)”. The Eleven are putting this in the wider context of new free trade agreements coming up in the EU pipeline which include a sensitive negotiation in agriculture: “The purpose would be to take into account all concessions already granted and those considered in ongoing and future negotiations (Australia, New Zealand, Mexico)”, the document reads.